We know that Ford has pushed the limits on “possible” for quite some time, but even we can’t quite believe this most recent tale of automotive reliability from Ford — a 2002 Ford F-350 with more than one million miles on it. The Ford in question belonged to Debbie Conner, who, along with her husband Norman, was in the business of transporting trailers and campers back-and-forth across the country. This profession is exactly how she was able to rack up just over 1,071,000 miles on her Ford truck between 2002 and 2018. That’s like driving to the moon and back nearly four and a half times. Most truck owners would balk at such a high mileage, but it was a badge of honor to the Conners. It was a bittersweet moment for them both when they traded in their trusty F-350 for a 2011 Ford Super Duty F-350 in September. Currently, their new Ford is floating at around 90,000 miles and it’s doing just fine. Gone are the days of the 100,000-mile death sentence — for Ford owners, at least. Now, how did the Conners coax their 2002 Ford F-350 into earning more than one million miles? According to Norman, just by “doing what Ford says” and faithfully following the automaker’s suggested maintenance schedule. 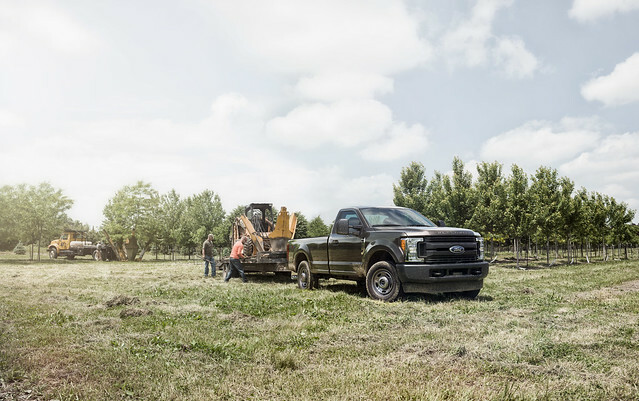 See what it means to be Built Ford Tough — check out our selection of vehicles at Tropical Ford.